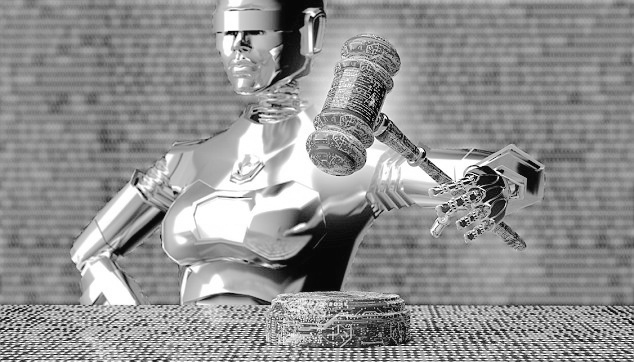 Will robo-judges replace human judges? About a month ago, an incredible story that machine learning could predict the outcome of Court decisions with 79% accuracy made international headlines. The story was newsworthy because of its obvious implications, namely that a $500 computer could, with some coding, replace human judges and produce judgements as accurate as humans. Billions of dollars could be saved; courts could be affordable for everyone; and even more promising – justice could finally be blind, and hence fair. But alas, the headlines were wrong. The study, called “Predicting Judicial Decisions of the EU Court of Human Rights” was not actually predictive of judicial outcomes. What the study did was analyze certain parts of what we call “Reasons for Decision” and contrasted them against the dispositions of the cases (the outcomes). Reasons for Decision are the judgments written by judges in which they justify their decisions. The experiment compared things like the words used by judges to describe the facts and applicable law of the cases assigned to judges with how those judges decided their own cases. The study found that in 79% of the cases, the words a judge used to describe the facts or the applicable law of a case predicted the way the judge would then rule on his or her case. In other words, how judges describe the introductory parts of his or her own judgements predict, 79% of the time, what the final sentence of the judgement will be – e.g., whether a party wins or loses. A parallel in the non-judicial world would be a study that compared the words in the introductory paragraphs of opinion pieces written by the writers of the New York Times opinion section against the conclusions of the opinions they wrote. By their nature, opinions, like judgements, will have persuasive language leaning towards one point of view. Both are crafted to convince the reader of the correctness of that point of view and logically, the first parts of an author’s work, even when that author is a judge, will be consistent with the theme and the disposition of the work. Judgements are no different. One wonders if the study had an inherent bias by virtue of the fact that it could be predicted ab initio that the judges would use language that, throughout their own judgement, would be consistent with case outcomes. One can hardly conceive of the opposite situation whereby a judge writes parts of his or her Reasons for Decision using language that does not lean towards their ruling in the case. So, what the study actually found was that 79% of the time, the language most judges use to describe the facts and the law in their own judgements is consistent with their dispositions in such cases. It is surprising that the outcome was only 79%. That’s it — it was not predictive of anything else. Here is an example of Reasons for Decision that were predictive – you can read it for yourself and see if the facts give you a hint of the outcome. I bet it does and we don’t need a machine to tell us that because humans write in biased ways. As jurists, we carry the responsibility for upholding the rule of law and protecting the public against the unauthorized practice of law by humans and machines alike. The unfortunate misinformation generated by the study in the press can harm the profession and the rule of law if policymakers rely upon it to replace human judges with machines. One news report said that the computer used for the study “was taught morals” (it wasn’t), suggesting that society will get decisions by machines with morality which will be more desirable than our current judicial system. The fact of the matter is that judges are duty-bound to make decisions based on the law and not on morals. Judges often make decisions based on morals and when they do, those decisions are reversed by appellate courts. It was also reported in the press that, as a result of the study, in the “not-so-distant future, AI will replace lawyers and judges” because they are no longer needed. Yet the study had nothing to do with the role of lawyers and nor did it have any material bearing on the predictability of judicial decision-making. In China, Courts are using AI and machine learning in a real and substantial way to assist with false claims, management of evidence and judicial decision-making but that is the only known case in the world where AI and machine learning are, as a matter of practice, operating to affect the rule of law. Any AI or machine learning introduced into the judicial process will have to incorporate procedures that do not deprive a party of rights, privileges, or immunities secured by constitutional law. Fundamental among these is the right of due process including the opportunity to be heard. In the criminal law context, which the study addressed, it would be hard to conceive of an accused having an opportunity to be heard when the listener is a machine. Even if such a proposal were contemplated, non-lawyers tend to forget that lawyers and judges are gatekeepers – we are not going to be rendered redundant by machines and AI unless we choose to be.